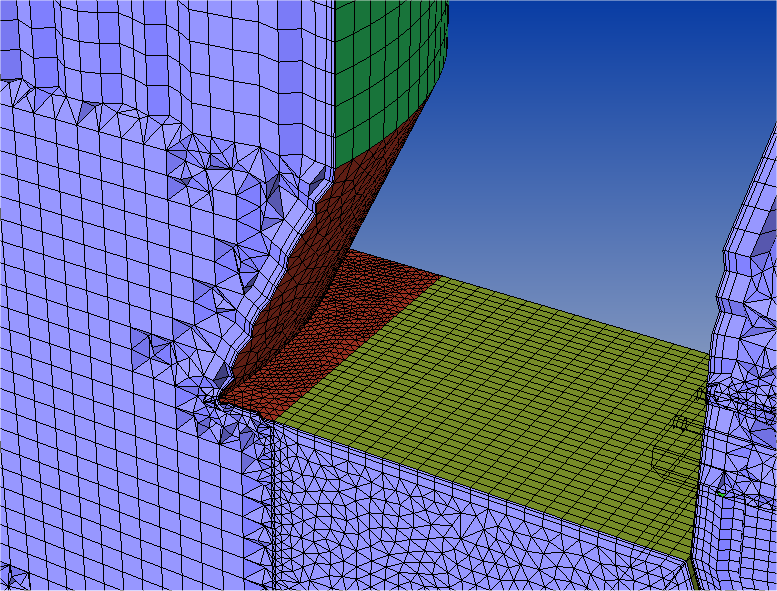 Hybrid meshing is the first choice if near wall effects are very important, or a good geometry resolution is required. Stretched domains can be meshed effectively using extrude grids in CastNet’s hybrid meshing approach. Internal hybrid meshing is the first choice if near wall effects are very important or an exact geometry resolution is required. The generation of boundary layers is highly accurate with numerous options available for fine tuning. The new Hex Core meshing feature provides hexahedron-dominant internal meshes, hereby reducing mesh size and improving mesh quality. Stretched domains can be meshed effectively using extrude grids in CastNet’s hybrid meshing approach. For structural mechanics applications, CastNet provides high-quality second order elements which are essential for a reliable structural analysis. CastNet and OpenFOAM® for a complex geometry deliver reliable CFD for CAD model based meshing and case setup with snappyHexMesh. 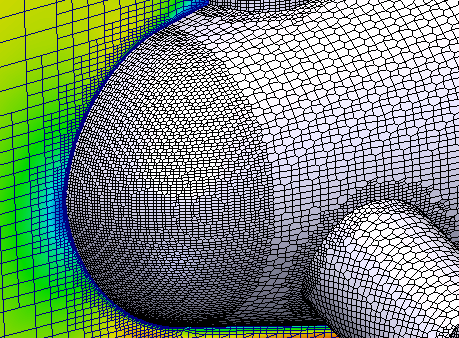 snappyHexMesh uses polyhedral cells which are the first choice for meshing free surface flows, time critical transient applications or very bad CAD input. The external meshing approach with OpenFOAM®'s snappyHexMesh is an excellent choice for free surface flow applications, time critical transient applications or low quality CAD input files. The definition of all mesh parameters can be done in a convenient CAD geometry based way in CastNet, especially without the need of editing text files. snappyHexMesh can handle assemblies directly so that the laborious extraction of the fluid domain can be skipped for complex geometries. To reduce the computational time, the mesh generation with snappyHexMesh can be done on multiple processors in parallel.